Learning and practicing how to correctly produce their “r” or “s” sound is certainly NOT what 8-12-year-olds want to be doing! Most would prefer to be playing video games or riding their bike. One way to make speech therapy and at-home practice a little easier is to use an app. These apps could be on the parent’s phone, the tween’s phone, or a family iPad. Over three million Americans stutter, or approximately 1 percent of the population. Stuttering affects four times as many males as females. Myth: People who stutter are not smart. Reality: Nervousness does not cause stuttering. Nor should we assume that people who stutter are prone to be nervous, fearful, anxious or shy. They have the same full range of personality traits as those who do not stutter. 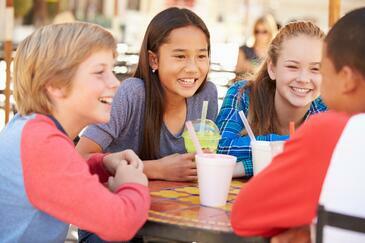 Myth: Stuttering can be "caught" through imitation or by hearing another person stutter. Reality: You can't "catch" stuttering. No one knows the exact causes of stuttering, but recent research indicates that family history (genetics), neuromuscular development and the child's environment, including family dynamics, all play a role in the onset of stuttering. Myth: It helps to tell a person to "take a deep breath before talking," or "think about what you want to say first." Reality: This advice only makes a person more self-conscious, making the stuttering worse. More helpful responses include listening patiently and modeling slow and clear speech yourself. Reality: As mentioned above, many complex factors are involved. Stress is not the cause, but it certainly can aggravate stuttering. James Earl Jones, John Stossel, Bill Walton, Mel Tillis, Winston Churchill, Marilyn Monroe, Carly Simon, Annie Glenn, Nicholas Brendon, Ken Venturi, Bob Love, John Updike, King George VI all stuttered and went on to have successful lives. Stuttering can become a lifelong part of talking for some people. However, it does not have to interfere with your child's ability to make friends, participate in the classroom, make good grades, form lasting relationships or achieve career goals. Deciding whether to take your child to speech therapy can be a difficult decision, however, many parents are concerned that taking a child to therapy will increase his or her awareness of the stuttering and thus have a negative effect or are unsure about the best time to start their child in therapy, especially when they get conflicting advice about whether to "wait and see" versus take action. Adding to the confusion, research suggests that as many as 70 percent of all children who start stuttering will outgrow it on their own with no speech therapy. But research also indicates that if a child has been stuttering longer than a year, the likelihood that he or she will outgrow it without any speech therapy is reduced. Unfortunately, there are no firm guidelines about the best time to start therapy, although most speech-language pathologists will recommend starting therapy within six to 12 months after you have first noticed the stuttering. One thing we do know, though, is that all children can benefit from therapy, although the outcomes are different for different children. 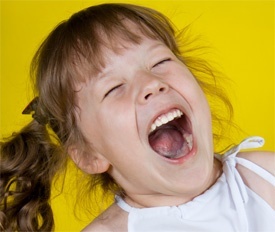 As a result of speech therapy, some children are able to eliminate stuttering completely. Others learn strategies that help them stutter less, while yet other children learn to talk in a way that is easier and less tense, even though some stuttering is still noticeable. Most importantly, all children can learn to become more confident in their speaking skills, no matter how much stuttering they may still have. What is Stuttering and How is it Treated? 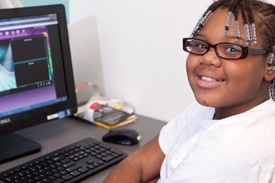 The Speech Language Pathologists at Cleveland Hearing & Speech Center (CHSC) are experts with children and teenagers who stutter. As defined by The Stuttering Foundation, “Stuttering is a communication disorder in which the flow of speech is broken by repetitions (li-li-like this), prolongations (lllllike this), or abnormal stoppages (no sound) of sounds and syllables”. Over 3 million Americans stutter, including well known people such as Ed Sheeran, Emily Blunt, Darren Sproles, and Tiger Woods. CHSC has developed a therapy program called FACEtime: Fluency Attitude and Communication Effectiveness. FACEtime is a program designed for older children and young teens who stutter and want to communicate more fluently and confidently. 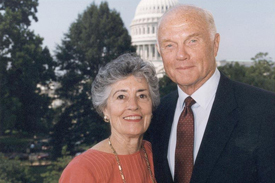 Anna Margaret “Annie” Glenn is the widow of astronaut and Senator John Glenn. She suffered from a severe stutter for most of her life. Once she received treatment, and overcame her disorder, she became a tireless advocate for people with disabilities and communication disorders. In 2016, Governor John Kasich passed a law naming February 17th (Annie’s birthday) as Annie Glenn Communication Disorders Awareness Day in the State of Ohio.